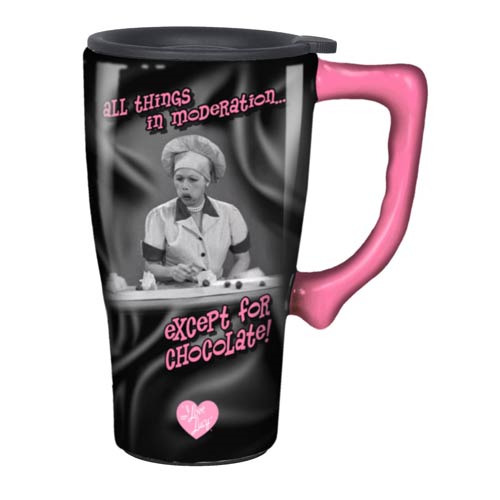 A double walled ceramic mug, it's the I Love Lucy Making Chocolate Black Travel Mug with Handle! The mug holds up to 14 ounces of liquid. The I Love Lucy Making Chocolate Black Travel Mug with Handle fits in most vehicle cup holders and is both microwave and dishwasher safe. The mug features a scene from the episode "Job Switching" where Lucy takes on a job at a candy factory.